How to improve your patience as a developer? How many times, as a programmer, have you told yourself to be patient when your code doesn’t work out? It has to be over 10 times a week. Coding is a meticulous task that requires immense patience. More often than not, you must find yourself in a situation when your code has glitches and you can’t understand why. Well, it is at this time that you would understand the value of patience in a developer’s life. While we all may aspire to be patient, we tend to lose cool even at the tiniest inconvenience. However, for developers, this can be detrimental. And thus, it is advised that you explore how to improve your patience because patience is one of the programmer essentials. If you are wondering how to be a great software developer, patience is the key. 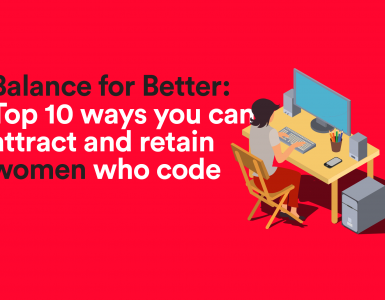 Before we begin exploring how to improve your patience as a developer, it is important to identify the causes of impatience and stressors. To begin with, developers get impatient when they are not able to create a code that they envision. Often glitches in the road to a perfect code cause impatience and stress in the life of a software developer. In addition, co workers can also be major causes of impatience. Undoubtedly, if your code is dependent on the performance of your co worker and the other person fails to perform, you will get impatient. Additionally, other technical problems that may be circumstantial can lead to episodes of impatience. Therefore, a software developer’s day is full of external and internal stressors that cause impatience and any attempt to counter this impatience is a programmers essentials. Why improve your patience as a developer? Improving patience is important for a programmer for stress management. As mentioned, there are numerous impatience triggers in the life of a software development. Unless proper measures are taken to combat this impatience, a developer may land up into serious trouble, psychologically. Improving patience has a business case to it too. Developers with greater patience entail greater productivity. High levels of patience and tolerance allow developers to handle glitches without complaining. While there is no secret mantra for improving your patience as a developer, there are a few time-tested ways that prove to be successful. We have created a consolidated of the best practices a developer can adopt to become more patient. One of the sure shot ways of improving your patience is meditation. Don’t take meditation to mean spiritual awakening to transcend the material world. Instead, see it as a means to become more self aware and to be more awakened about the present time. Meditation and patience have a direct co relation. As you become more aware, you begin to control your emotions better. Once you are in control of your emotions, you automatically become more patient as you don’t lose your cool at the smallest irritant. Emotional stability also allows you to tackle failures and glitches better, helping in stress management. Therefore, meditation makes you in charge of yourself and you are better able to regulate your patience levels. Meditation acts as one of the key programmer essentials if you want to learn how to improve your patience. Meditation can be an effective tool to tackle impatience caused by self problems. However, how to deal with impatience caused by the faults of others? Empathy is the key. You may feel impatient because of the actions of others who you might be dependent upon for your work. It is normal to have co workers that get on your nerves and cause impatience. The best way to deal with this sort of impatience is to develop your empathy skills. Empathy allows you to understand the other side of the story. If you are empathetic towards others, you’ll be better positioned to comprehend the reasons behind their poor performance. And once you understand the reasons, your impatience will automatically decline. Putting yourself in other’s shoe tones down intolerance and anxiety and helps to improve patience. Empathy helps you understand that not all have the same acumen and capabilities. 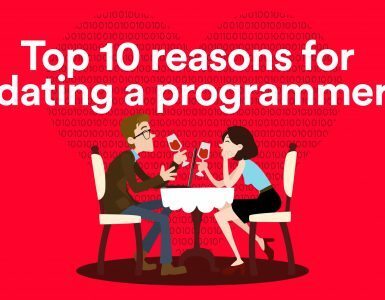 If you are a programmer and actually passionate about it, it wouldn’t be surprising that programming is not just a means to an end for you. Invariably, if you consider coding to be more than just a profession for you, you live with it beyond your workspace. Software development then becomes a part and parcel of your personal and professional life. When you spend almost every waking hour contemplating, planning and implementing a code, you are bound to have a technical block at times. This inability to execute all you plan becomes a constant source of impatience. What you need to understand is that your brain needs rest. Giving yourself regular breaks in between coding is an effective way to improve patience. It allows you to understand that coding is not the end of the world and prevents you from getting impatient when a code goes wrong. Impatience generally strikes when your code doesn’t work out the way you imagine. This generally happens when you work in haste and don’t put in enough time on the planning phase. For any code to be successful there needs to be proper planning of execution. When you carry out each step patiently, you underline the probable glitches and are prepared for them. Therefore, when you come across any difficulty, you don’t get impatient instantly. Additionally, if you slow down your pace, you will be used to delayed gratification. Thus, even in situations where you have to wait longer for the code to work, you will be patient and stay calm. Additionally, working at a relaxed pace will help you become a great software developer and augment your stress management skills. Finally, an effective way to improve your patience is by understanding the causes of impatience for your particular cases. As people differ, so do their impatience triggers. You need to introspect and understand what factors cause impatience in your life and what glitches in your programming make you most anxious. Once you have dissected the underlying irritants, you can begin improving your patience in two ways. Firstly, you can learn ways to avoid such situations. Secondly, you can identify ways to deal with such situations so as to act patient. Therefore, finding the causes and managing the systems of impatience is surely a way to improve your patience. Patience is the key to every programmer’s success in the long run. It not only increases one’s productivity by reducing the time wastage due to impatience but also gives developers a wider perspective to work on their stress levels. 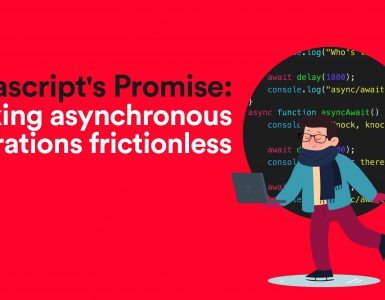 While we have suggested some ways on how to improve your patience as a developer, you can definitely come up with tricks that help you achieve this programming essential. And if you come across any new tactic, do share it with us.